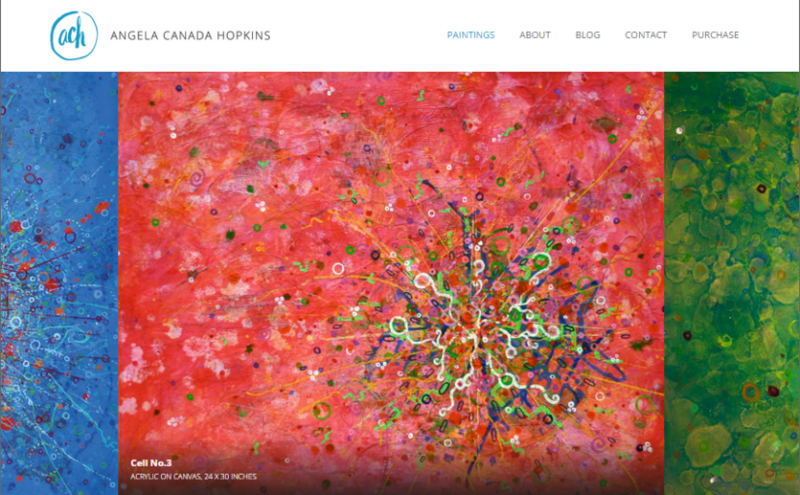 Angela Canada Hopkins is a painter who lives in Loveland, Colorado. Passionate about the intersection between art and science, she paints abstract things that very much look like cells, because that’s what they are inspired from. More specifically, they are cancer cells. After my father died from cancer in June 2001, I decided the best way to overcome my new “enemy” was by embracing it through art. 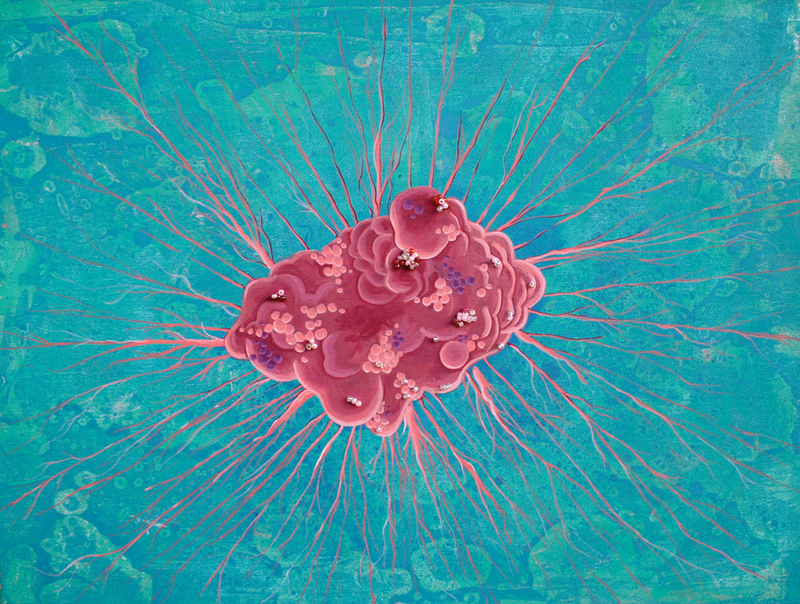 I initially painted the disease by deconstructing microscope slides of cancer cells and reinterpreted them. Creating the work has deepened my understanding of the disease and changed my outlook. Recently, my work has progressed to a more abstract style that references general characteristics of molecular patterns and shapes. The paintings are remarkably bright, with splashes of vivid colours in high contrast. I’ve picked one from her website to feature below, but make sure to visit her website to see the whole lot, as well as read her blog – for example, did you know that cells don’t worry about tomorrow? Visit Angela’s website to see more of her works, blog, purchase her artwork, and find links to her social media.